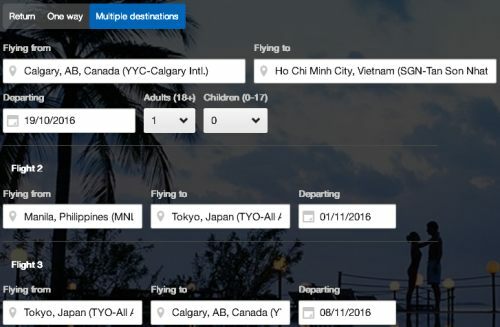 United Airlines and ANA are showing some very interesting prices on multi-city flights, where you fly from Calgary to Vietnam, and then from the Philippines to Japan, and then back to Calgary, all for just $832 CAD roundtrip including taxes. The flight between Vietnam and the Philippines is not included. 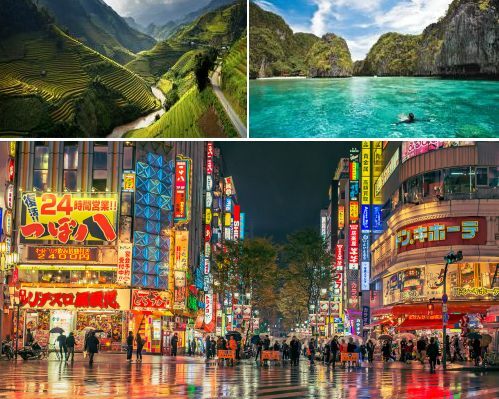 One way flights between these two countries are easy to find for around $150 CAD or less, with TigerAir or AirAsia. 2. Click on 'Multiple Destinations. NOTE: Some of these may only be bookable by going from Google Flights to the United Airlines website. 2. Use dates from the list above. 3. Click through from Google Flights to the United Airlines website. 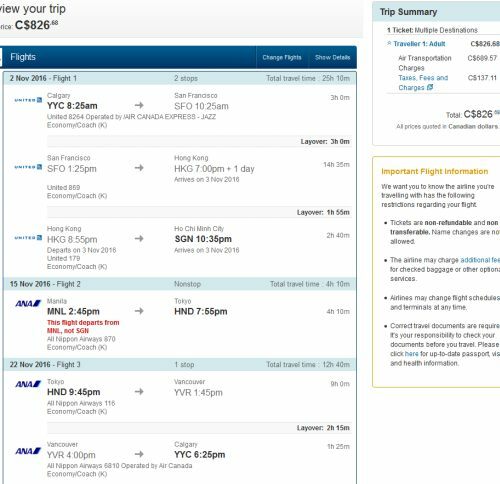 calgary, yyc, flight deals, tokyo, japan, asia, east asia, southeast asia, vietnam, sgn, hnd, manila, philippines, mnl, united airlines, ho chi minh city and ana all nippon airways.